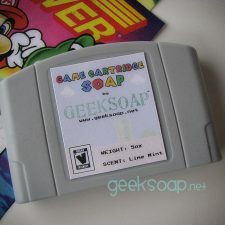 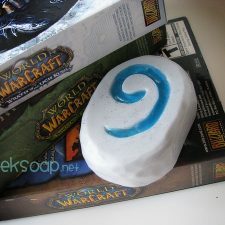 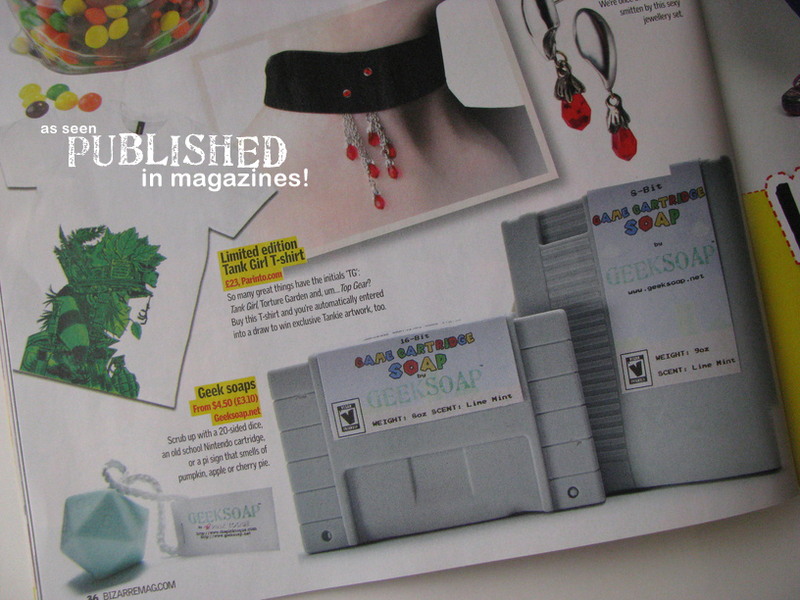 Relive your favorite classic gaming adventures in the tub with the original Game Cartridge soap! 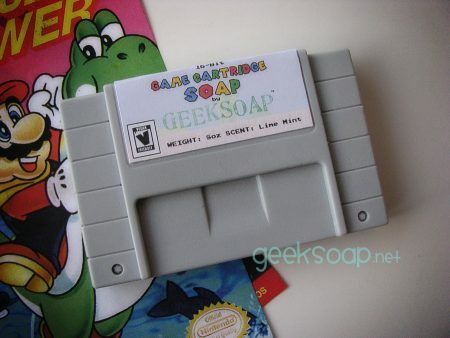 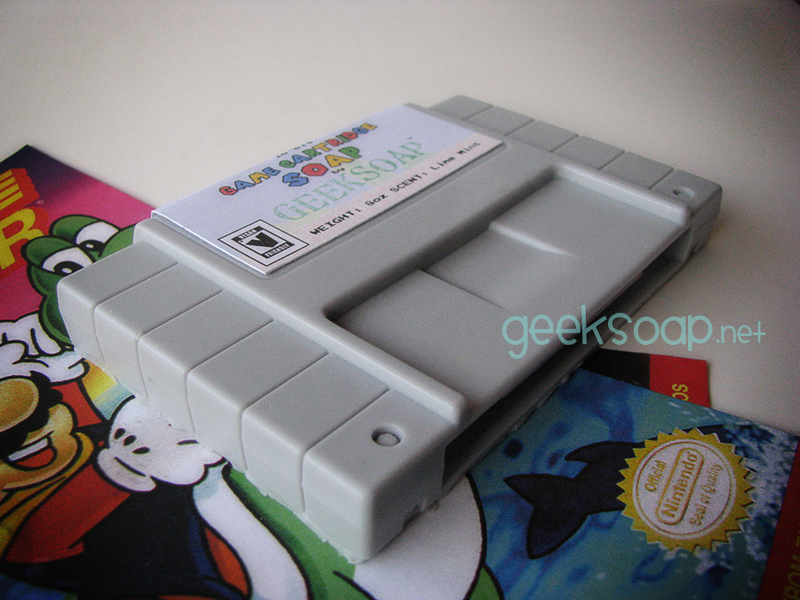 This game cartridge soap packs 16-bit power in every shower! 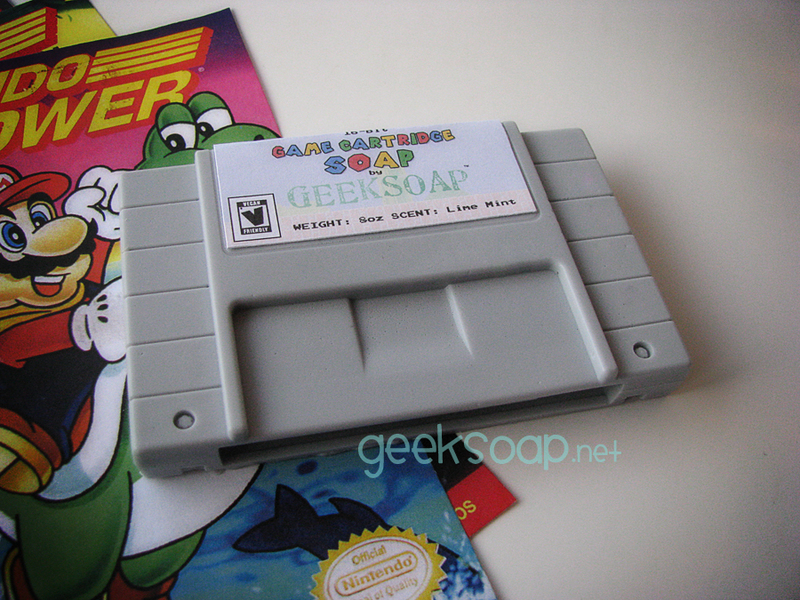 Rated “V” for Vegan Friendly.